DOWNIE Flora (nee Webster) passed away peacefully at Ninewells Hospital on Thursday, April 11, 2019, beloved wife of Ally and dearly loved mother, mother in law, grandmother, sister and friend to many. Funeral service to which all relatives and friends are respectfully invited at St Margaret's Parish Church Forfar on Thursday, April 18, at 11.15 am followed by committal at Parkgrove Crematorium Friockheim at 12.30 pm. 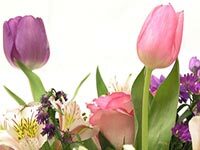 Family flowers only please but donations if so desired may be made at the church and Crematorium for Ward 22 Ninewells Hospital.